Evangelion remains in the facet of anime culture even when there hasn't been a new movie since 2012. Dark Horse however reminds us anyway with Tony Takezaki's Neon Evangelion, another gag manga making fun of Neon Genesis Evangelion much in the same way Neon Genesis Evangelion: Comic Tribute did. 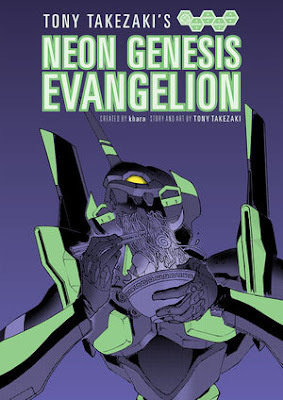 Instead of the multiple artists making fun of Evangelion we only have Tony Takezaki' making Misato, Shinji and Asuka do the most unsightly things. The EVA the flings it's own poop and vomits might make you fall on the floor with your back arched laughing. For a gag manga Tony Takezaki art looks like the real deal, so when a character suddenly breaks down and does something perverted-yeah, they do that anyway in EVA sometimes- it knocks you back a bit more. For fans of EVA who love to make fun of the little things or just want some fan service.